The startup Daqri has improved on additive manufacturing production speeds by developing holographic 3D printing, yet not without limitations. A new startup, Daqri, has developed a holographic 3D printing method that has the potential to transform the tech industry. Their use of light manipulation will provide more options to researchers in the AR industry and beyond. Daqri is a progressive startup composed of a diverse team that’s focused on “taking humanity further” through tech innovations. The company, based out of the U.K. and San Francisco, primarily develops augmented reality devices like smart helmets and smart lenses for car dashboards. Their new holographic 3D printing technology is developed from their previous work with holograms. By studying “software defined light,” the Daqri team was able to manipulate the speed of light by program, thus discovering the potential for faster, more complex holographic imaging. With their super fast new 3D printing method, in 5 seconds they are able to print what would usually take several minutes. In an example video provided by the lab, a petri dish filled with a viscous amber substance is placed under a green holographic laser that projects the image of a paper clip. The liquid, which is activated by light, hardens into a solid in five seconds. After the dish is removed from the printing station, the newly produced paper clip is extracted from the petri dish, cleaned off, and ready to be used. This incredibly fast 3D printing method will have huge benefits to both the 3D printing industry and the development of holographic research. For now, holographic 3D printing is limited to small, shallow objects, but the technology is conceivably scalable. The high-resolution holographic imaging can be applied in medical imaging. At the moment, they are able to project an image on a windshield while at the same time projecting one several meters away in real time at a high resolution. Maybe in the future, we will be able to use our smart glasses to capture images, turn them into holograms, and then laser print objects in seconds. There are, however, a few limitations to holographic 3D printing. One problem that may pose an issue is the limitations of the necessary hardware. The researchers at Daqri do not have machines powerful enough to process such large amounts of information. However, with computer storage capabilities rapidly expanding, this may not be the biggest problem that they face in the future. We could see quantum computing improve their data processing capabilities. Dávid Lakatos, the head of product at the 3D printing company Formlabs, says that heat could be an issue as well. “Polymerization is an exothermic process,” he says, referencing the way that the printing polymer reacts to light to harden into a solid product. “Printing something faster means that there’s a lot of energy from the reaction that gets released.” This means that the larger a product is, the more likely it is to melt in the printing process. This same bottleneck theory of heat acceleration providing a potential limitation to infinite production capabilities is applied to self-replicating machines as well. The speed of production can only be so fast before production breaks down from overheating. 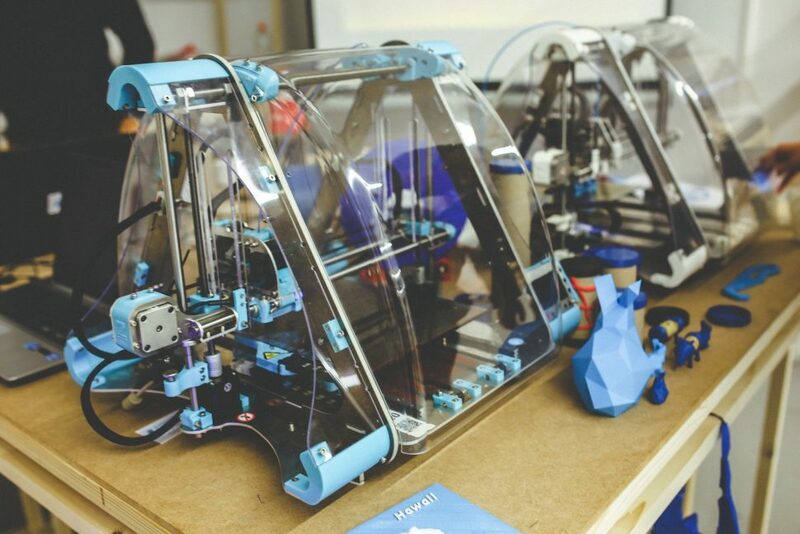 Knowing that a 3D printer that can replicate itself is considered a self-replicating machine, it will be interesting to see how far holographic 3D printing technology can innovate in the future. Will self-replicating holographic 3D printers become a possibility of the future, or will the production break down from physical limitations?